The analysis of the spatial characteristics of cities is very important to the formulation of land use strategy, planning and distribution of urban development. We employed kNN analysis and two measures of spatial heterogeneity: spatial entropy S and dissimilarity index D to characterize the structure pattern of Metro Manila and Manhattan. We show that administrative and economic structures are well dispersed in both cities. The results also show that the formation of economic structures is distinctive and mixed with administrative structures. We present a model of the growth of urban centers based on the attractive tendencies of urban elements along roads. Scanning for different values of the parameters result in realistic-looking spatial scatters. C. Perlada and R. Batac. 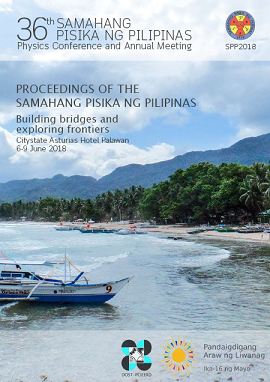 A quantitative analysis and growth model of urban spatial structures, Proceedings of the Samahang Pisika ng Pilipinas 36, SPP-2018-PB-29 (2018). URL: https://paperview.spp-online.org/proceedings/article/view/SPP-2018-PB-29.